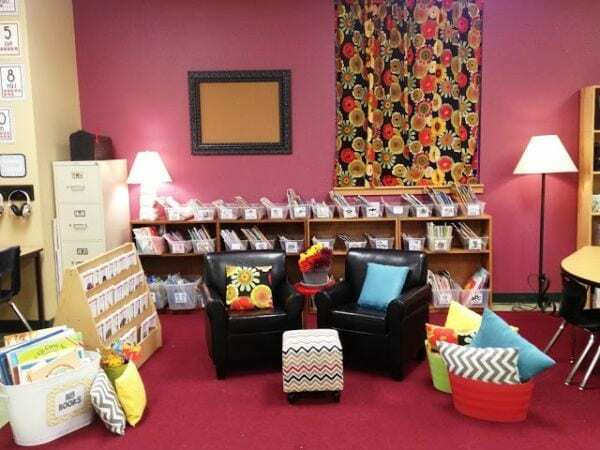 Teachers spend more than 1,000 hours a year in their classrooms, so it’s no wonder they want to make them as pleasant and bright as possible. 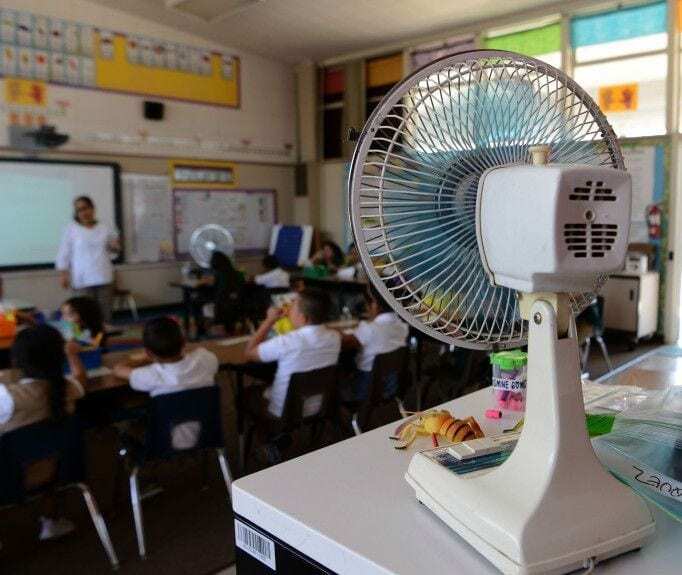 These days, though, more and more teachers are facing the same dilemma: a classroom without windows. “Only two classrooms in my entire school have windows. I feel as if the world could end and we would have no idea,” teacher Kirk H. says. 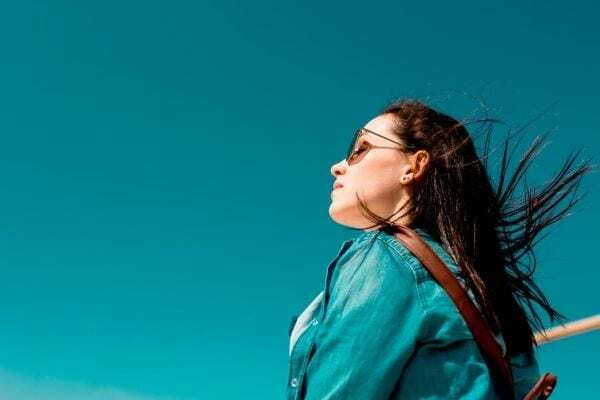 Recently, the members of our WeAreTeachers HELPLINE group chatted about how they survive working in a classroom without windows. Here are their best tips. 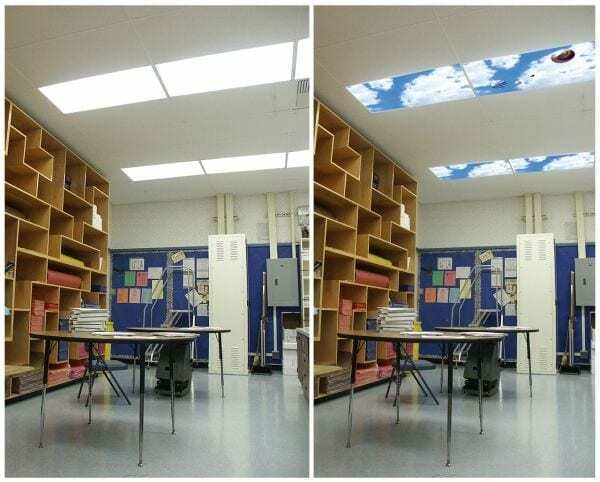 Fluorescent lights drive many of us crazy, so try this tip from Wendy W. “There are filters you can put over your fluorescent lights that help lessen the harshness of the lights.” Do a web search for classroom light filters or fluorescent light filters to find options. Trade fluorescents for floor lamps. Hang string lights or pendant lamps. Kirk H. shared this photo of his classroom without windows and explained, “My room was super dark as it was an old computer lab. 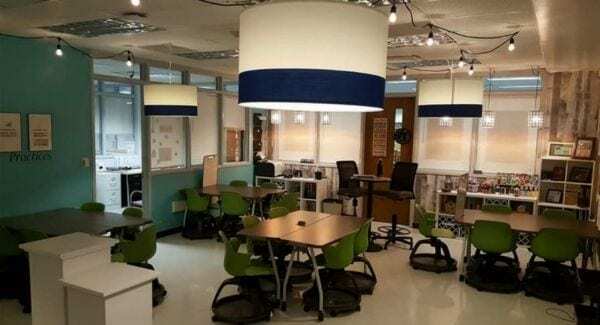 I wrote grants [to get funding] and transformed my class into a space I loved.” He hung inexpensive lighting from IKEA to make his space bright and inviting. 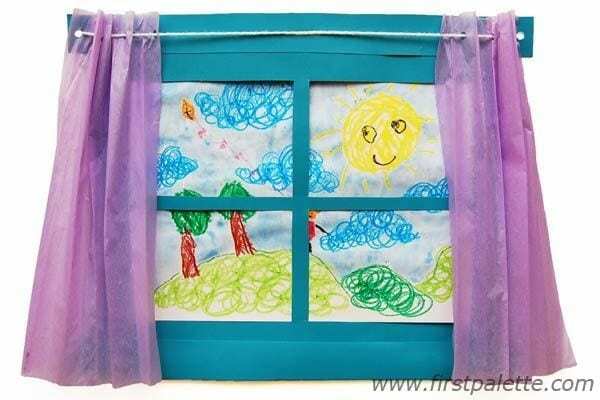 Have students draw window art. 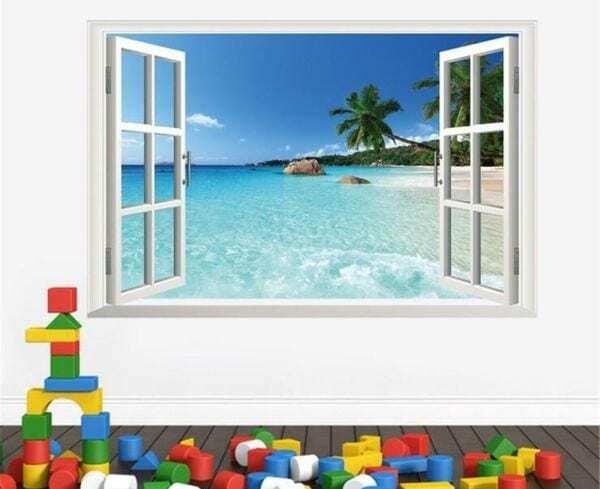 “Create a series of fake windows and have the students create places they would like to see outside those windows!” —Michael M.
Use your classroom projector for slideshows of nature scenes or [feeds from] webcams. “I run live cams on my projector,” says Marnie R. Try bird feeder or nest cams or those from zoos or national parks. 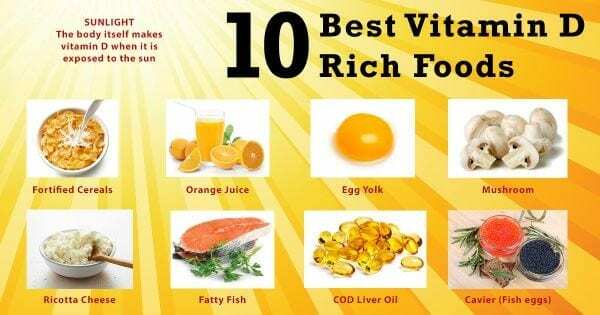 Here’s a good list. 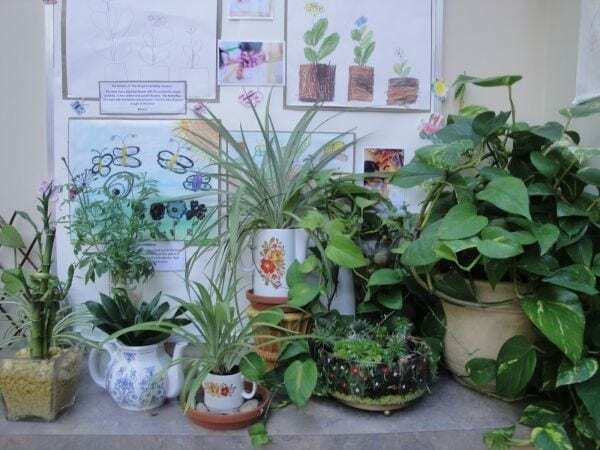 Grow plants—or add artificial ones. In addition to plants, Heidi B. tries to make the gloomy inside seem more like the sunny outdoors. 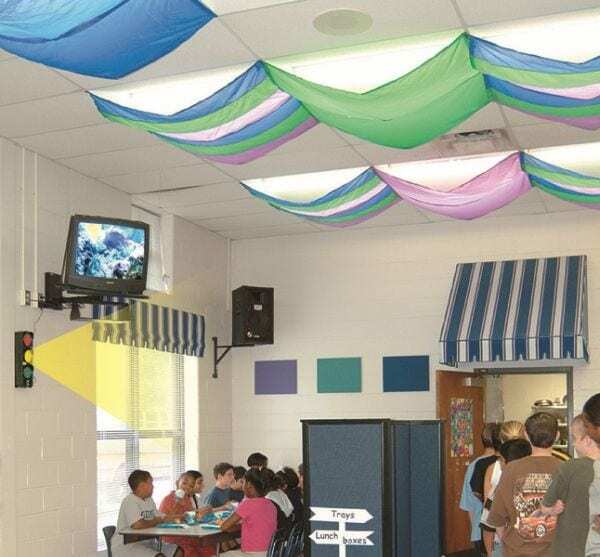 “I made a big blue wall hanging and used bulletin board paper that looks like blue sky and clouds.” You can even get covers for your fluorescent lights to make them look like skylights. 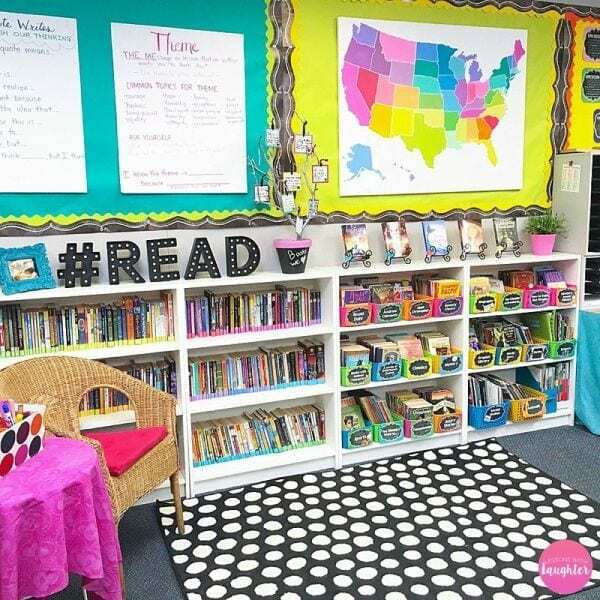 Or step up your game and turn your classroom into a tropical paradise! Use bright colors on your walls. 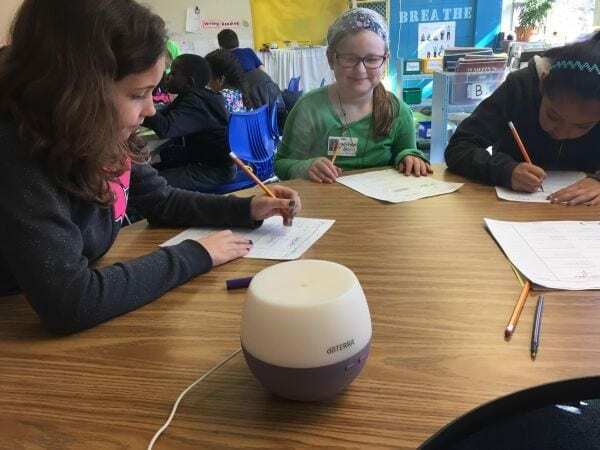 Rebecca S. and Ginnie H. love using fragrance diffusers in the classroom. Citrus scents are favorites, and Ginnie likes peppermint, too. 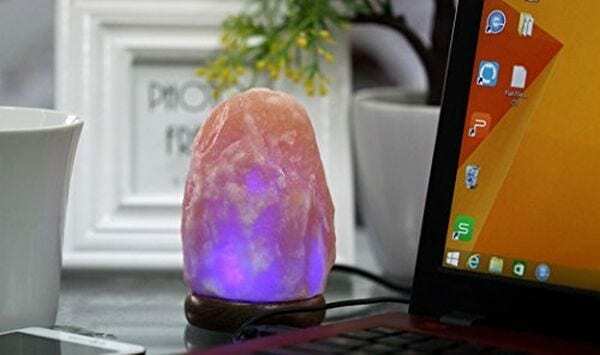 “A salt lamp helped us a lot. A student asked me what it was for, and I explained that some people believed maybe it cleaned the air. 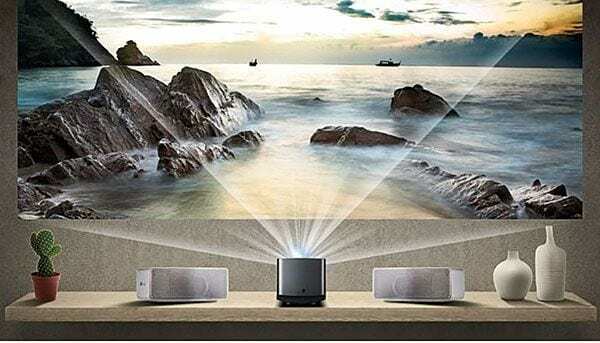 The student replied, ‘Well, it definitely helps the ambiance. '” —Adrianne G.
Keep an eye on your vitamin D.
Step outside when you can. 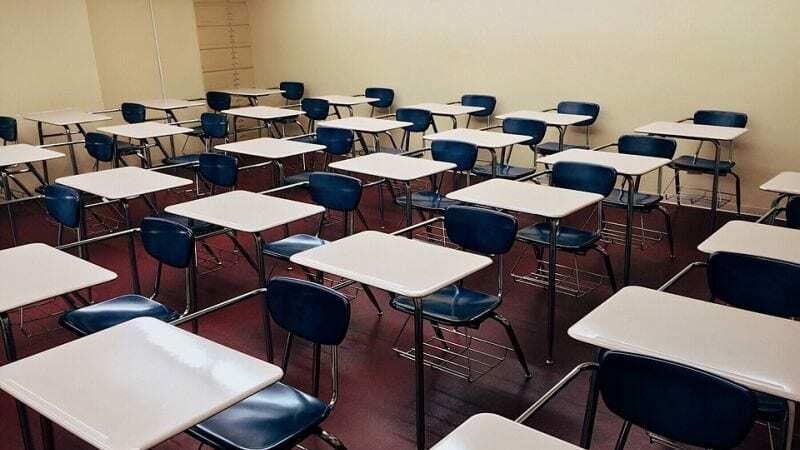 How do you survive in a classroom without windows? Share your best tips in our WeAreTeachers HELPLINE group on Facebook. Plus, check out our ideas for making over ugly file cabinets.